Changes in your diet can manage and prevent painful flare-ups of GERD symptoms. Gastroesophageal reflux disease, or GERD, is commonly known as heartburn. GERD symptoms include a sharp, burning feeling in your chest that occurs when acidic contents of the stomach reflux (flow backward) into the esophagus. This happens when the lower esophageal sphincter (the valve separating the lower end of the esophagus from the stomach) becomes weak or defective and does not properly close. The acid touching the esophageal lining causes the sharp, burning sensation of heartburn. Persistent heartburn is the main symptom of GERD. If heartburn occurs more than twice a week, GERD is the most likely reason. Other GERD symptoms include chest pain, trouble swallowing, or difficulty keeping food down after meals. Some people can taste the acidic fluid in the back of the mouth, which has a metallic taste or causes bad breath. GERD can also cause a sore throat, a dry cough, or hoarseness. Some experts believe that GERD may be a cause of sinusitis (inflamed or infected sinuses) and dental erosions. It has long been believed that certain foods can weaken the lower esophageal sphincter and trigger GERD symptoms. These include chocolate, peppermint, fatty foods, caffeine, and alcohol. Some research has found that these foods lower the pressure in the esophageal sphincter. However, they do not appear to have a direct effect on curbing GERD symptoms. Fried, fatty foods aren’t helping your GERD symptoms. A trial-and-error approach can often identify problems foods. 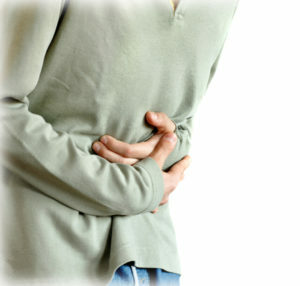 Notice when symptoms arise and what types of food you have just eaten. Reducing or eliminating those foods or drinks can help keep your GERD away or reduced the severity of symptoms. Also, small, frequent meals often are better for your GERD than larger, less-frequent ones. Antacids: They contain calcium carbonate, aluminum hydroxide, and magnesium hydroxide, all of which neutralize acid. They start working rapidly but last only about two hours or less. You can take them after a meal while you have symptoms. H2 Blockers: These over-the-counter drugs decrease the production of stomach acid and can prevent heartburn for up to eight hours. These drugs need to be taken before symptoms begin because they take 30 minutes to two hours to take effect. Proton Pump Inhibitors: PPIs block an enzyme that is necessary for acid secretion. However, PPIs may decrease the absorption of calcium in some people, and can affect bone density in older adults who use high doses for long periods of time. acid reflux, alcohol, bone, bone density, caffeine, calcium, causes of gastritis, chest pain, chocolate, diet, food, gastritis, gastroesophageal reflux, gastroesophageal reflux disease, gerd, gerd symptoms, health, health news, heartburn, how to help acid reflux, long periods, magnesium, melatonin, melatonin for gerd, natural supplement, pain, peppermint, ppis, reflux, sinusitis, sore throat, stomach acid, stomach reflux, supplement, symptom of gerd, trouble swallowing, university health news.